Horse racing is one of the trickiest sports in the world to predict, because in any given race there are about a million factors at play. It’s not just about which horse or jockey is most capable. It’s about the distance of the race, the type and quality of the track, the fences or hurdles involved, the weather, the horse’s recent condition, the competition, etc. Each of these factors requires careful analysis. But because horse racing is designed in tiers to an extent with different events meant for horses of certain ages, one of the more reliable prediction methods in the sport has always been to study a race that traditionally leads into another. Such a connection exists, often, between the year-end Breeders’ Cup Juvenile event and the Kentucky Derby. One of the really fun things about the Kentucky Derby (and the Preakness and Belmont Stakes after it) is that it’s only for three-year-old horses, meaning there’s a fresh field of racers each and every year. This is probably no fun for those who like to bet on outcomes, as there’s never a reliable defending champion or proven veteran to back. 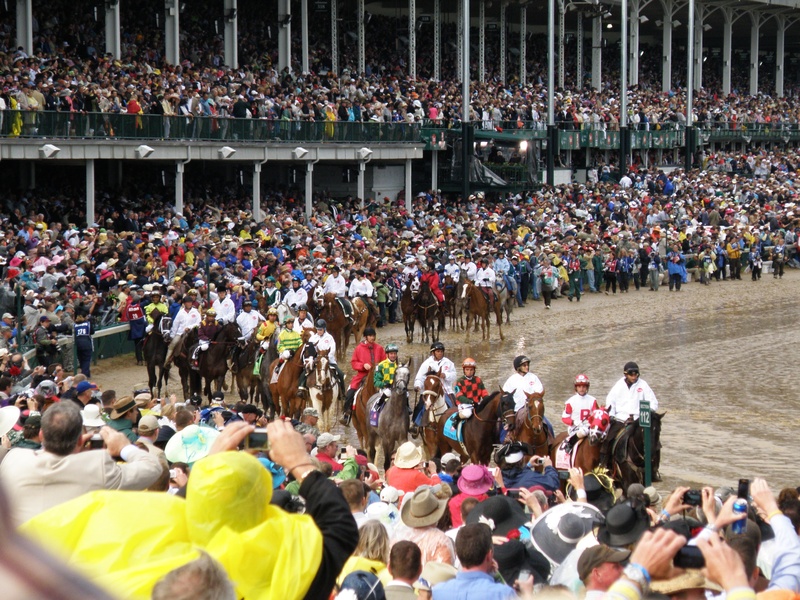 In a way, though, it keeps the mystique of the Triple Crown alive, as any horse that rises up and poses a threat to winning the Derby, the Preakness, and the Belmont will to have pretty much come out of nowhere, at least as far as the common spectator is concerned. But for those who pay closer attention, the Breeders’ Cup Juvenile contest can offer up little hints. Don’t believe me? Well, you’d be right not to in the last few years. But go back a bit further and you’ll find a distinct connection between top Breeders’ Cup Juvenile contenders and Kentucky Derby favorites. In 2011, four of the top-five finishers at the Breeders’ Cup Juvenileâ€”Hansen (the winner), Union Rags (runner-up), Creative Cause (third place) and Dullahan (fourth place)â€”finished ninth, seventh, third, and fifth, respectively, at the 2012 Kentucky Derby. In 2010, Uncle Mo won the Breeders’ Cup Juvenile, and when he was scratched from the Kentucky Derby the next spring the Washington Post went as far as to say that “the horse that isn’t in the race might be a bigger story than the ones that are.” They then cited Uncle Mo as a would-be favorite in the competition. And 2009 Breeders’ Cup Juvenile runner-up Lookin At Luck was the morning favorite for the 2010 Kentucky Derby before ultimately finishing sixth. Not an exact science, by any means, but it’s clear that success at the Breeders’ Cup Juvenile one year often means a leg up on the competition in the Kentucky Derby the next. And with the 2014 Breeders’ Cup having just concluded and the Kentucky Derby still months ahead, now is the perfect time to take a look at how this general trend could impact the Triple Crown discussion next year. Carpe Diem was the favorite heading into this year’s Juvenile event, with the Betbright tip blog calling him “the real deal” and giving him the edge over close competitor Daredevil. The same blog post highlighted Upstart as a potential challenger with slightly lower odds, and in the end the prediction wasn’t too far off. As it turned out, relative long shot Texas Red won the Breeders’ Cup Juvenile and launched himself into the Kentucky Derby conversation, though Carpe Diem and Upstart managed second- and third-place finishes, respectively. Also of note was the pre-race scratch of American Pharaoh, who was expected to be the favorite had he competed. So there are some of your early names to watch for as the 2015 racing season looms ever closer. According to The Courier-Journal, Wynn Las Vegas recently posted opening odds on the 2015 Derby with American Pharaoh, Daredevil, and Carpe Diem among a small handful of expected competitors earning better than 100-1 chances. 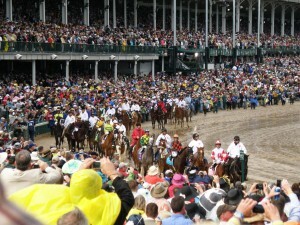 However, that was before the Breeders’ Cup Juvenile event took place. Given the frequent correlation between this event and the Kentucky Derby, some adjustment in the odds is likely in the coming months. Stay tuned! This entry was posted in Card Table by Guest Authors. Bookmark the permalink.